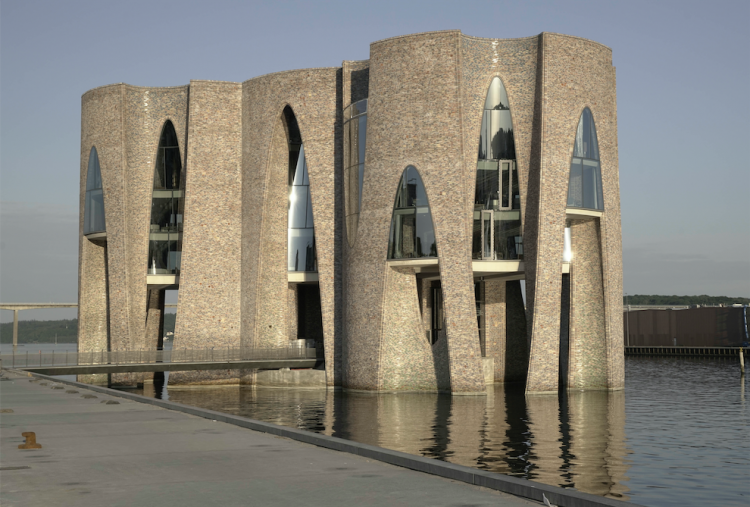 Fjordenhus (Fjord House), the firrst building designed entirely by artist Olafur Eliasson and the architectural team at Studio Olafur Eliasson, will open on 9 June in Vejle, Denmark. Commissioned by KIRK KAPITAL, the company’s new headquarters offer a contemporary interpretation of the idea of the total work of art, incorporating remarkable site-specific artworks by Eliasson with specially designed furniture and lighting. Rising out of the water, Fjordenhus forges a striking new connection between Vejle Fjord and the city centre of Vejle—one of Jutland peninsula’s thriving economic hubs. As one moves from the train station towards the harbour, Fjordenhus comes into view across the expansive plaza of the man-made Havneøen (The Harbour Island), a mixed-use residential and commercial area currently in development. From here, residents and visitors can access the ground floor of Fjordenhus via a footbridge or stroll along the jetty designed by landscape architect Günther Vogt. The building’s public, double-height entrance level is dedicated to the relation of the building to the water, drawing attention to the plane where the structure plunges beneath the surface, its curved edges framing glimpses of the surrounding shores and harbour. The building is permeated by the harbour itself, and its two aqueous zones are visible from viewing platforms. Both the architectural spaces and Eliasson’s artworks engage in a dialogue with the ever-changing surface of the water. Formed by four intersecting cylinders, Fjordenhus soars to a height of twenty-eight metres (ninety-two feet). 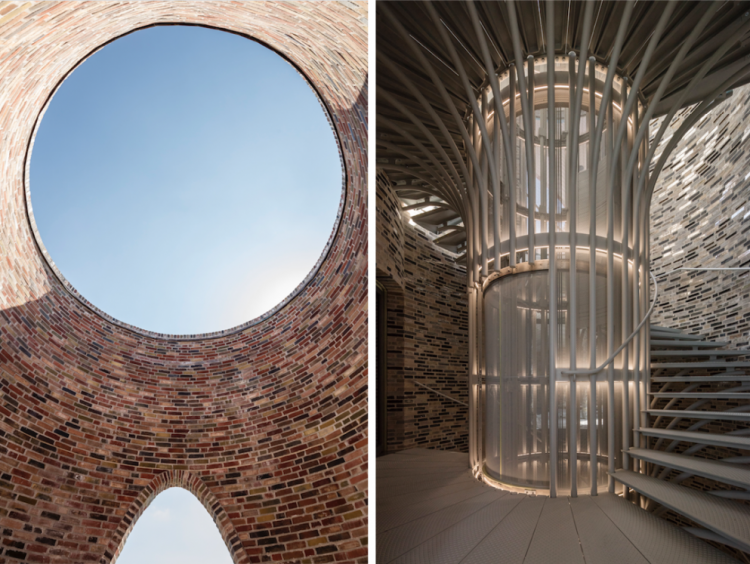 Rounded negative volumes have been carved from its facades of custom-glazed brick to create an extraordinary architectural statement of complex curved, circular, and elliptical forms, torqueing walls and parabolic arches. In its unique setting—a hybrid of natural and industrial-urban contexts—the building highlights Vejle’s future as a centre not just for today’s generation but also for generations to come. The completion of Fjordenhus marks the shift of Studio Olafur Eliasson’s major architectural activities to a new international office for art and architecture, Studio Other Spaces (SOS), founded by Eliasson and his long-time collaborator, architect Sebastian Behmann, in Berlin in 2014. As an architectural counterpart to Studio Olafur Eliasson, Studio Other Spaces will be the vehicle for Eliasson and Behmann to carry out large-scale interdisciplinary and experimental architectural projects of a scope similar to Fjordenhus, in addition to works for public space. Projects are currently in development around the world, from Paris to Addis Ababa.